One of the many things that I adore about graphic novels is their diversity. After recently posting about a graphic novel set in the Ivory Coast, another incredible example of the medium is the phenomenal “Priya’s Shakti”. Even more incredible is the fact that this comic is available to read online for free, and you can check it out here. 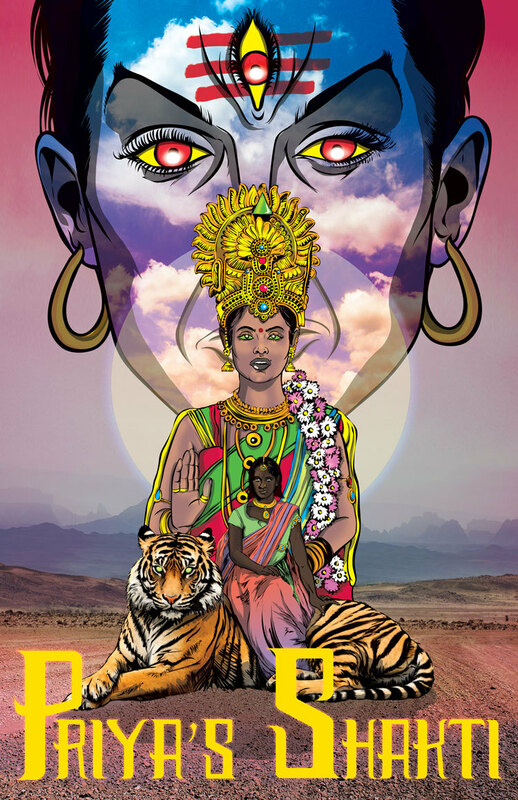 “Priya’s Shakti” is an educational comic about sexual violence in India. When Priya, a young Indian woman, is raped by men from her village and then shunned by her family, the Hindu gods Shiva and goddess Parvati take notice. Shiva’s decision to punish mankind for their evil deeds divides the gods and starts a war, so Parvati decides to take a different approach to bring an end to gender-based violence. With the help of a goddess and a tiger guide, Priya becomes her own hero. This story is accompanied by beautiful and honest illustrations, and the fantasy/spiritual element makes it a great vessel for a story about morals. I have nothing but respect for this project. The scourge of sexual violence in India is something that has captured the attention of the world. As outsiders, however, it is hard to know how best to help. As per usual, the solution lies in grassroots movements like these. “Priya’s Shakti” is the result of the efforts of a big team of 9 people, about half of whom are women and most of whom are of Indian heritage. There’s not much more to say about this, really. Just click the link and see for yourself. This is an absolute must-read and must-share for anyone who is interested in graphic novels, gender politics, diversity and representation.